MEN AND WOMEN OF THE PARISH OF TYTHBY WITH CROPWELL BUTLER WHO SERVED IN THE WORLD WAR 1939-1945. WITH GRATITUDE TO THOSE WHO SERVED AND IN MEMORY OF THOSE WHO LAID DOWN THEIR LIVES. 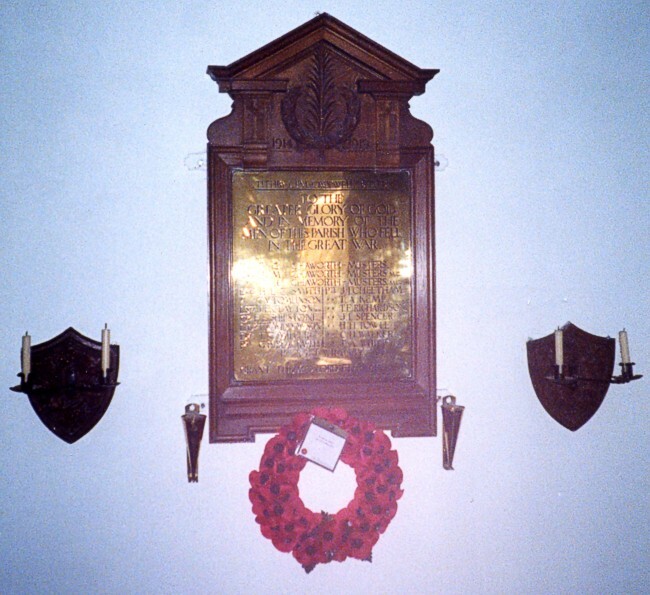 There is also a First World War memorial at the lych gate of the cemetery, which is situated at Cropwell Butler.